Yesterday I turned 33. I have to say that, while I love other peoples birthdays, at this point in life I'm not expecting the world to stop for my special day. What I failed to remember is that in the mind of a child it's still the most important day of the year! Jared was awesome; Maya had all these plans to make me feel special and he helped her follow through with them! My day started out with breakfast in bed. Jared and the kids made me pink, heart shaped pancakes and a cup of tea. 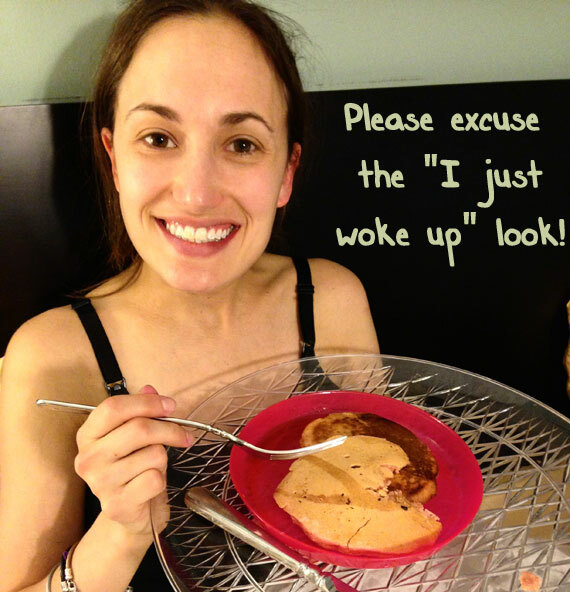 I will admit that I'm not the breakfast in bed type. Tea is one thing but the thought of syrup and crumbs in my bed makes me cringe. The only thing that overpowers that is the sight of Maya being so proud of herself for coming up with the idea! It was great, I was in bed when I heard, "CRASH!! Oh no..." Let's just say that pancakes with a little dust on them are just as good as fresh ones; I ate every last drop! Post breakfast my friend Dana and I went for a run. 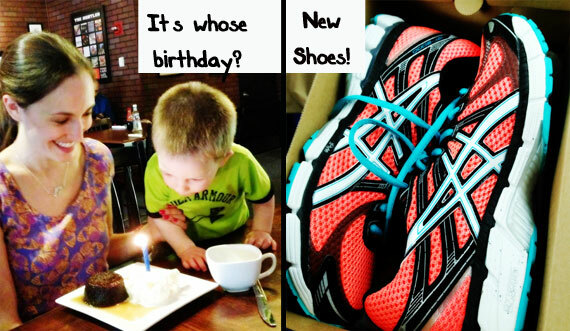 While we were out Jared took the kids to get me a gift; new running gear and a gift card to pick out some more! They made me cards, presented me the gift and we went out to meet my sister and her family and my parents at one of my favorite British restaurants. The whole way there Simon insisted on discussing how it is actually his birthday and tried to blow out my dessert candles. So cute! Then off to get some new running shoes! 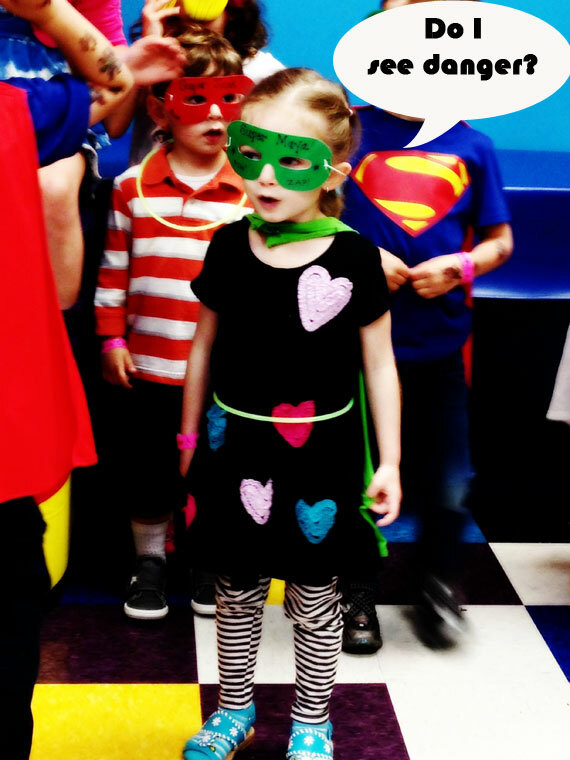 Maya and I then went to a superhero birthday party for her friend and then met my whole family out to dinner. When we got home Maya insisted on making me a cup of herbal tea and pretended to be my butler. If the rest of my 33rd year goes like this I'll be in great shape! No Time To Let My Nails Dry! Going on a Treasure Hunt! Quick, I want a muffin!